Download "Georgia. Contact Information. Office: Fax: Email: Statistics. 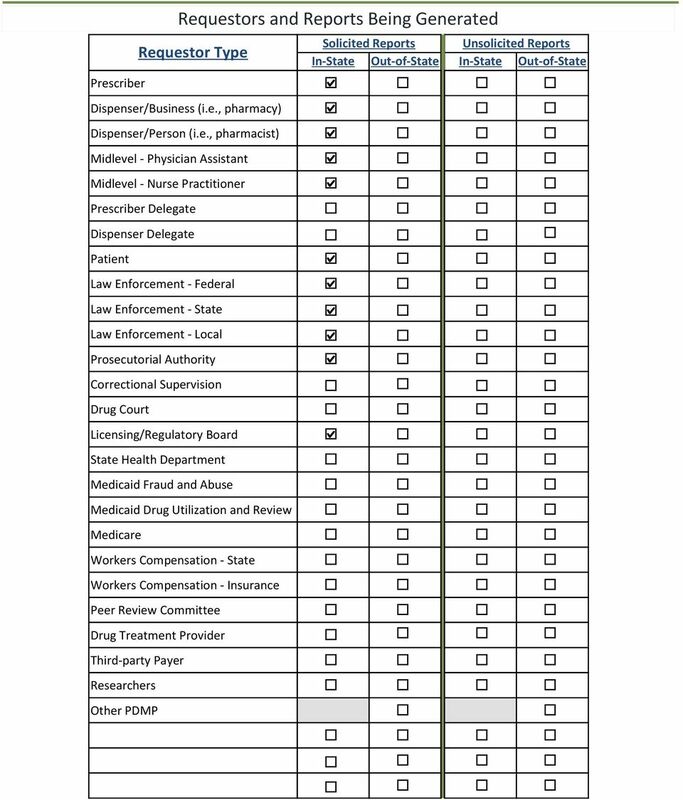 Technological Capabilities"
2015 ANNUAL REVIEW OF PRESCRIPTION MONITORING PROGRAMS Research current through September 2015. This project was supported by Grant No. 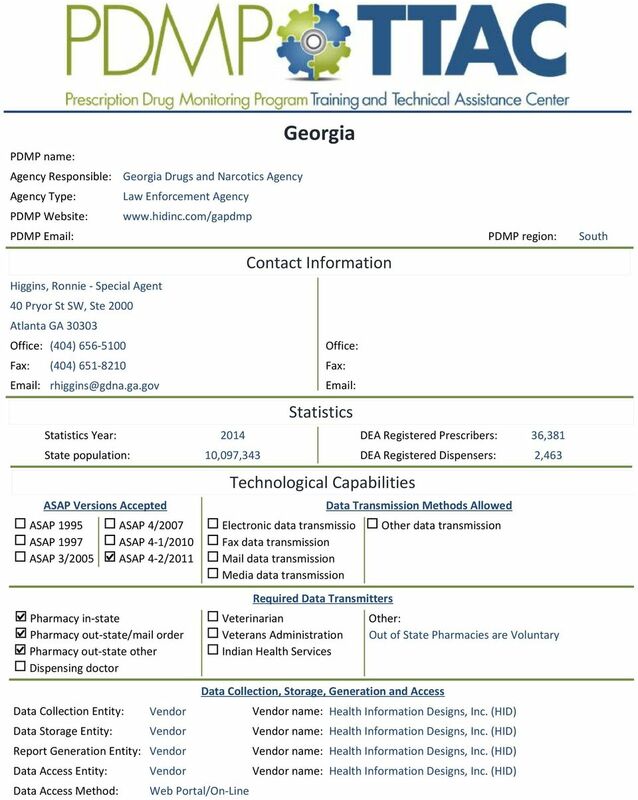 G1599ONDCP03A, awarded by the Office of National Drug Control Policy. 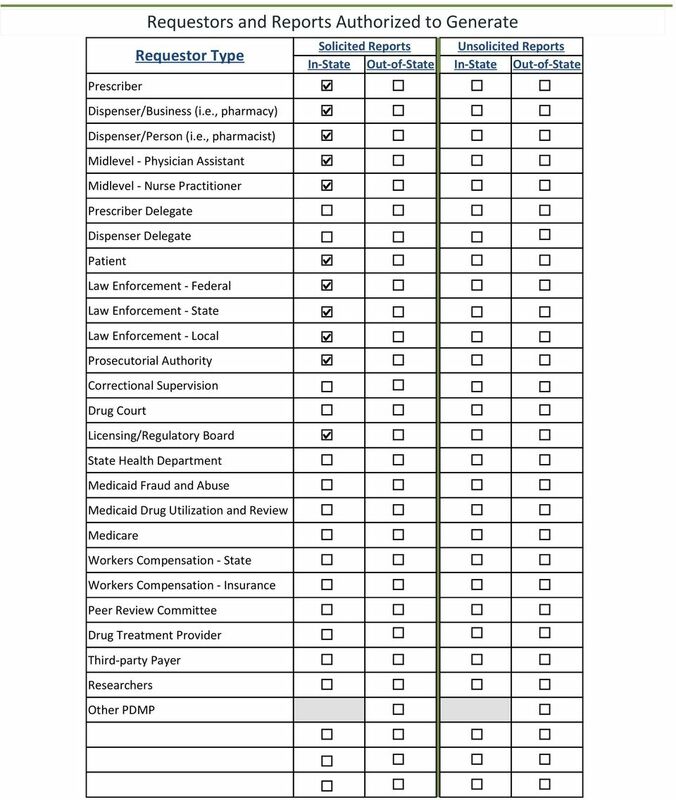 American Indian Health Commission for Washington State October 1, 2015 States with more opioid pain reliever sales tend to have more drug overdose deaths Death rate, 2011, National Vital Statistics System. 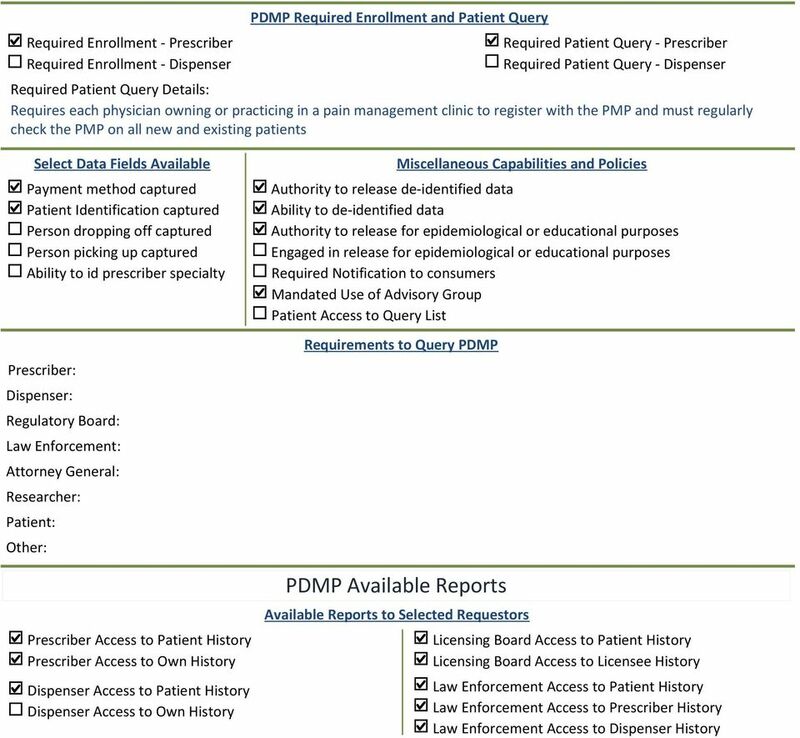 Prescribers required to check PDMP before first prescription for Controled Substances for new patient. 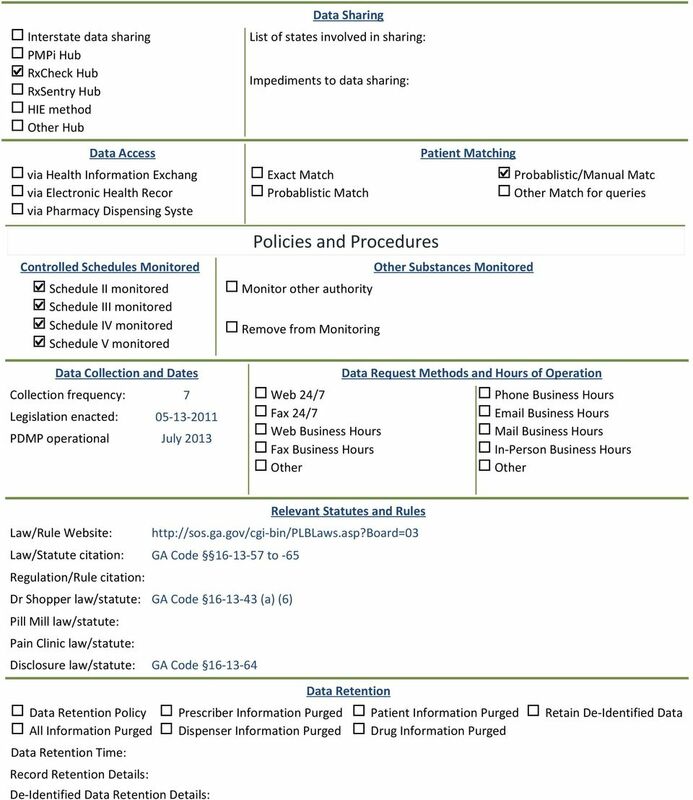 Technical Assistance Guide PDMP Suggested Practices to Ensure Pharmacy Compliance and Improve Data Integrity This project was supported by Grant No. 2011-PM-BX-K001 awarded by the Bureau of Justice Assistance.